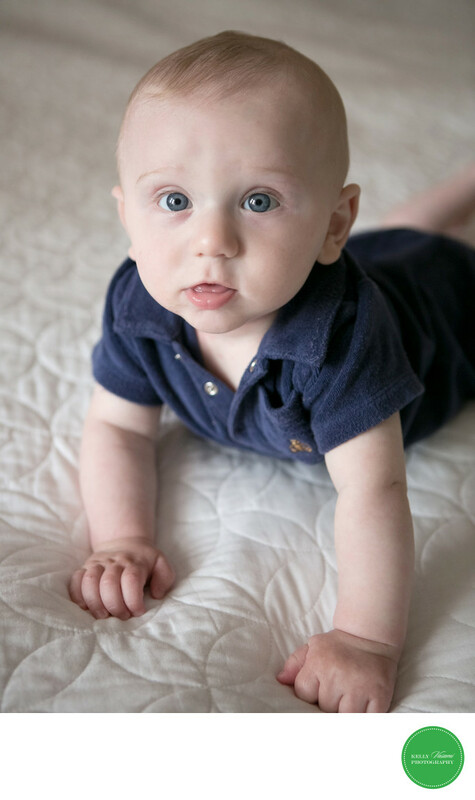 This baby is sitting up and his sparkly blue eyes are locked with the camera. The light is coming from a nearby window (which you can even see in the catchlights in his eyes). He is propping himself up and this proud milestone is a fun one to photograph. The clean white background with a slight texture is a great contrast for his navy blue onesie.